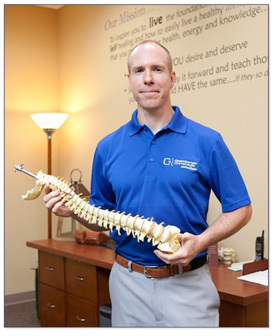 Message from Dr Jeff reminding you the importance of getting your spinal checked and adjusted. In this video, Dr Chamberlain unveils the lies that advertising feeds us and how to become more aware and use our critical thinking to find better health. In this video, Dr Chamberlain tells us how personal happiness and satisfaction can positively affect your health. In this video, Dr Chamberlain emphasizes on the importance of better, cleaner and safer sunscreen, and bring awareness to the different potentially harmful ingredients contained in different cosmetic products. In this video, Dr Chamberlain talks about the benefits of Juice Plus+. He explains how important good nutrition is and how it impacts your health. We have many additional tools and opportunities for you to learn how to create a lifestyle that enhances your body’s design and ability to heal. We have weekly “Half Hour to Health” workshops, one on one coaching with the doctor on topics like nutrition ( and all aspects of), increasing energy, weight loss, time management, healthy lifestyle planning, and much more. These are just a few of the reasons why we stand apart from many experiences and results that you may have had in the past. This is also maximized by our outstanding, highly trained staff that is purpose driven and devoted to your success.